Another humorous take on cloud computing. This version (authored by Netsuite) is obviously slanted to show the cloud computing strength of Netsuite versus Great Plains and SAP. The product name “Great Plains” is used to poke fun at the product’s Fargo North Dakota roots. Those familiar with the Great Plains software will of course realize that Microsoft now owns the product and has rebranded it under the Microsoft label. Of course anyone who sat in on Netsuite’s latest earnings call knows that they reported essentially flat license growth. 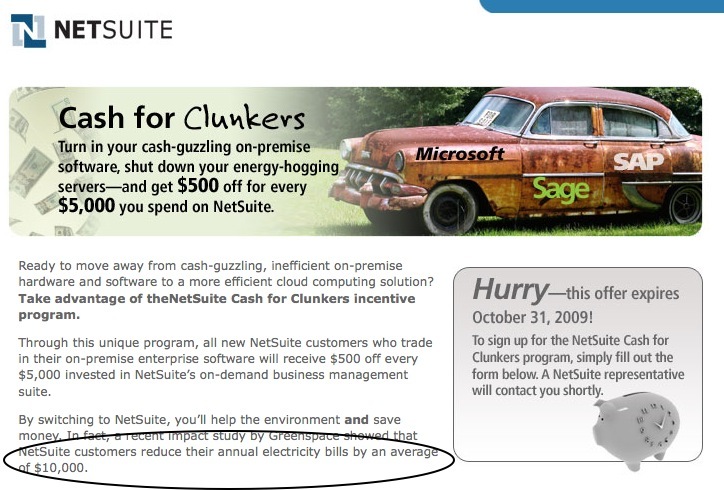 That lead us to proclaim that Netsuite appears to lose customers as fast as they replace them. I just stumbled across this humorous parody of the Mac v PC commercials that Apple made famous. This version pits SAP versus Netsuite in a spoof of SAP’s cloud computing strategy. 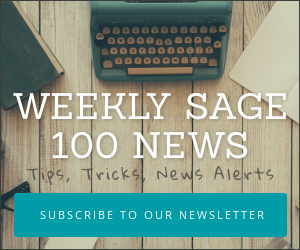 Netsuite claims $10,000 average electricity savings – but what about the monthly cost? In an interesting advertising campaign, online software provider Netsuite is claiming that their average customer saves $10,000 annually in electricity costs. While that may be true (do they work in the dark after purchasing Netsuite?) – no mention is made of the recurring fees associated with Netsuite. Based on public information you could be spending all of that $10,000 savings — and more (depending upon configuration as shown below). After the great presentation given by both Netsuite and Intacct, I was asked to give some feedback on the area of SAAS (software as a service) and highlight some of the topics covered in the presenation.